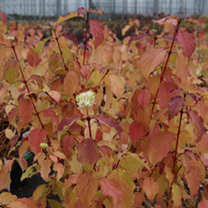 Cornus sanguinea 'Winter Beauty' is an upright, compact, deciduous shrub with oval leaves turning orange-yellow in autumn. Small creamy white flowers are produced in early summer. 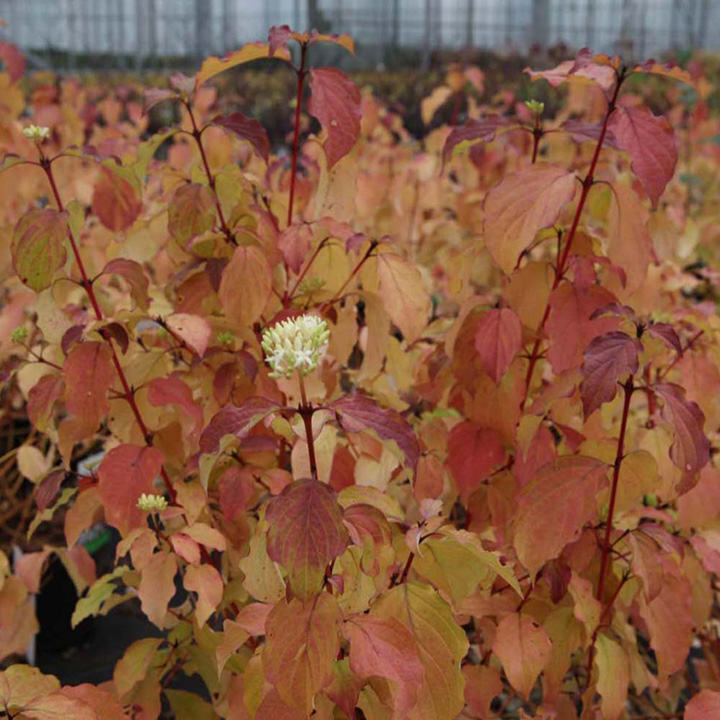 Its most remarkable characteristic is the brilliant, flame-coloured stems that becomes apparent when autumn arrives and the foliage start falling away slowly. Flowers May-June. Height 150-200cm. Supplied in a 3-4 litre pot. Ideal for beds and borders, patio pots and containers. Best planted in full sun or partial shade in moist well-drained to poorly drained soil.